The team at Bryant Tractors are specialists in the servicing and repairs of all farming machinery and equipment. A dedicated team is available 24 hours a day, seven days a week. 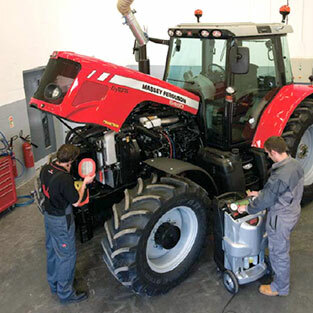 Urgent jobs and breakdowns are prioritised over general servicing to ensure minimal downtime for farmers, particularly in busy seasons. Gumboots are always at the ready at Bryant Tractors – the team offers a fully-mobile service with a quick turnaround on repairs, with the parts department fully stocked with parts for most makes and models of machinery and equipment, and what they don’t have can often be ordered in and delivered on an overnight courier. Efficient and professional every step of the way – don’t hesitate to call Bryant Tractors when you need a service, a repair or when you think you hear a funny noise when you turn the key.